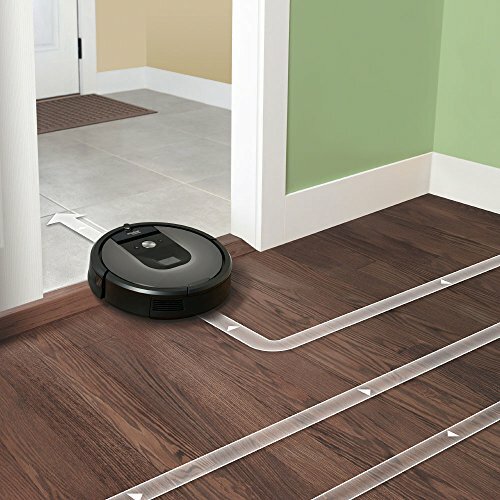 The new Roomba 960 keeps going until the job is done, vacuuming an entire level of your home. 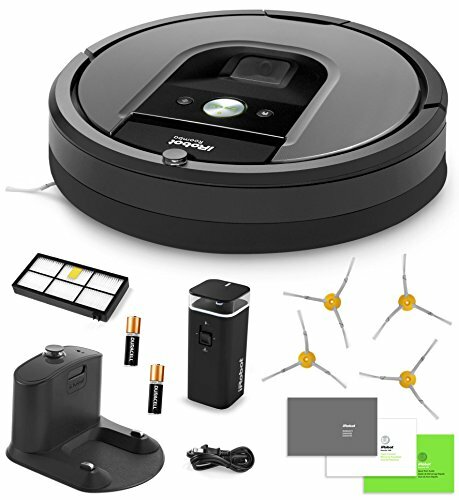 iAdapt 2.0 Navigation with Visual Localization helps Roomba 960 to seamlessly and efficiently navigate an entire level of your home and keep track of its location. 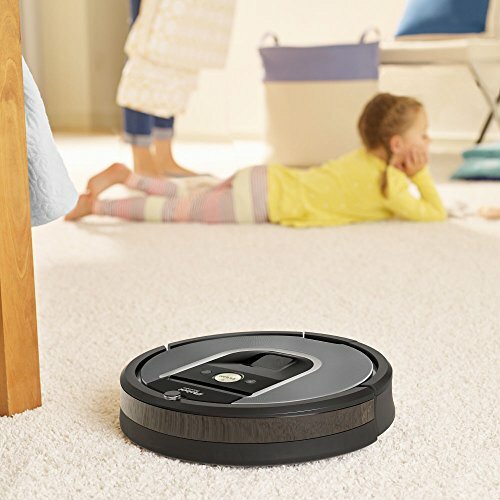 The New Roomba 960 runs continuously for up to 75 mins, then automatically recharges and resumes cleaning to complete the entire job. 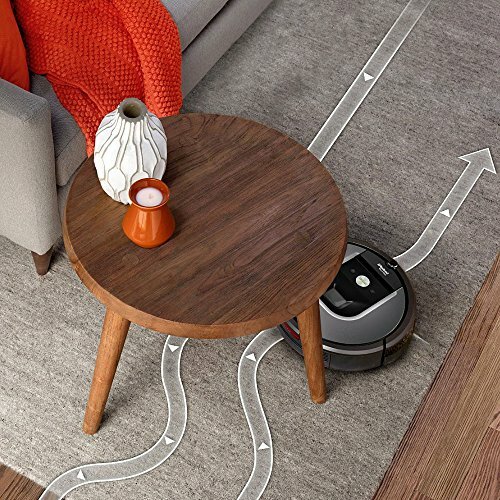 Using a high-efficiency cleaning pattern and a full suite of sensors, Roomba adapts to real world clutter and furniture for thorough coverage. 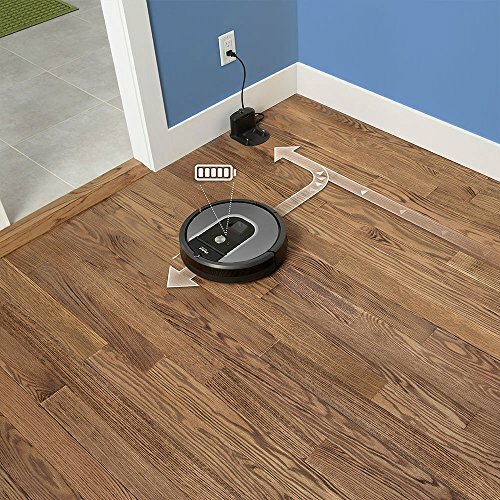 It also uses its optical and acoustic sensors to detect high concentrations of dirt, dust, and pet hair, and then performs focused cleaning where it's needed most. The low-profile design allows Roomba to clean under most furniture and kickboards, so dirt has no place to hide. Cliff-detection sensors allow Roomba to avoid stairs and other dangerous drop offs. The iRobot HOME App lets you also select custom cleaning preferences, schedule conveniently anytime or anywhere, access support and tips, view the bin status and see the status of cleaning jobs. The AeroForce 3-Stage Cleaning System uses Dual counter-rotating extractors and the Gen 2 motor for improved cleaning performance to deliver 5x the power and lower maintenance. The 960 traps particles as small as 10 microns with the AeroForce High-Efficiency Filter, leaving cleaner air than what was taken in!